When we have a jaguar on our front page, on this web-site, it is because we think the jaguars are incredibly impressing animals! Jaguars are adaptable to the nature they live in, and they usually live along the rivers of the Amazon, where they find the food, which may even be Caimans. Jaguars are good swimmers and can catch Caimans on land and under water! 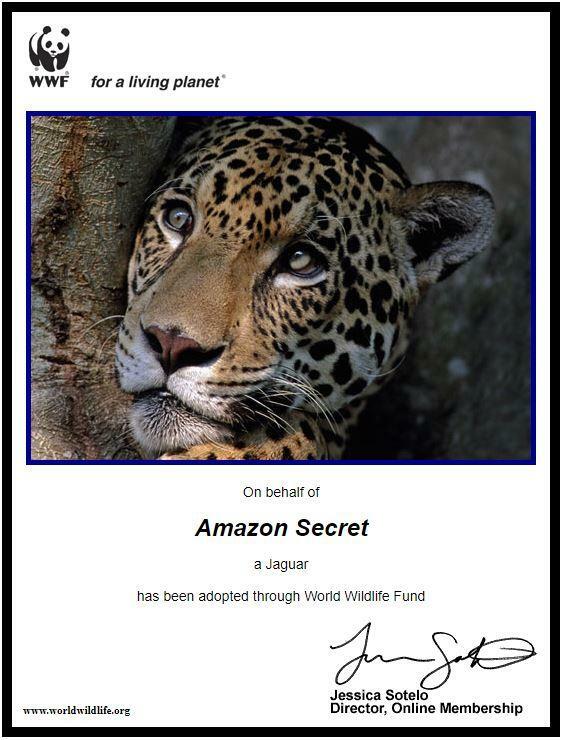 Since we're using the Jaguar, on this site, and on ouf social media pages, it's only natural that we regularly adopt jaguars via WWF. If you want to adopt a jaguar, or another animal, visit the WWF-website. The black caiman is the largest predator in the Amazon ecosystem, preying on a variety of fish, reptiles, birds, and mammals. It is a generalist and apex predator, potentially capable of taking any animal within its range, including other predators.